The Durban ICC is pleased to announce the promotion of Andile Mafa to the role of Cost Accountant, effective from the 1st November 2016. A resident of uMlazi, Andile completed his matric at Velabahleka High School in 1998 before taking up a trainee accounting position at the EThekwini Municipality, where he worked until 2007 when he left to focus on his studies. 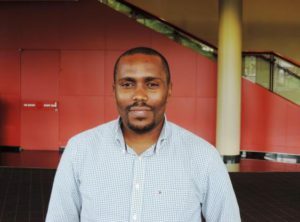 Prior to joining the Durban ICC, Andile worked as an Asset Auditor at PriceWaterhouseCoopers (PwC) from 2011 and graduated from Mangosuthu University of Technology in 2014, obtaining his National Diploma in Accounting. In August 2014, he joined the Durban ICC in the role of Creditors’ Clerk, which he held until his recent promotion. In his new position, he will be responsible for budgetary control, accurate control of store inventories, and the development innovative solutions for the organization from a cost and optimization perspective. Cost accounting is a process of recording, analyzing and evaluating various costs in the operation of the business. The goal is to provide insight for the management to decide on the most appropriate course of action based on the cost efficiency and the capabilities within the organization. In his spare time, Andile invests his energies into changing the lives of young individuals in his community via a local non-profit organization. The organization seeks to develop young leaders by instilling in them the importance of values, relating well with authority and going the extra mile. Andile also plans to further his studies in 2017, having enrolled for the Diploma in Management Accounting (Operational Level qualification) with the Certified Institute of Management Accountants. Commenting on his promotion Andile said, “”I am very grateful and delighted with the opportunity the Durban ICC has given to me. I believe this new position will use all the potential I have and further develop me to an even more valuable resource within the finance team and the Durban ICC. My hope is that we may become a more cost competitive and profitable company, that operates efficiently and possesses the highest standards of service in this industry”.